CNET editor Dong Ngo picks his top five advanced affordable NAS servers for home networking backup. I can’t stress enough how important it is to have backups of your data. 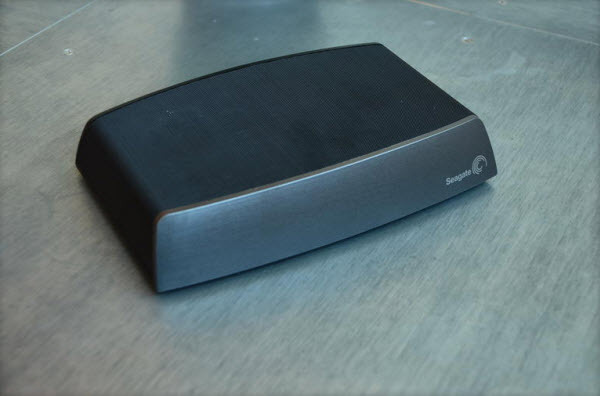 If you have a single computer at home, getting one of these great external drives will get the job done. But if you have multiple computers, it’s actually more economical to get a network attached storage (NAS) device that can take care of the entire network at the same time. A NAS server is similar to an external hard drive but instead of connecting to a computer using a peripheral connection (USB, FireWire, Thunderbolt, etc. ), it connects to your router (or switch) using a network cable and makes the storage space available to every computer on the network. Apart from acting as a backup destination, a NAS server can also work as a streaming server, file sharing server, and even a personal cloud server, as well as many other functions you can’t find in external hard drives. On this list are the top five NAS servers that are affordable and will make a great backup server for a home. They are listed in review order with the latest review on top. 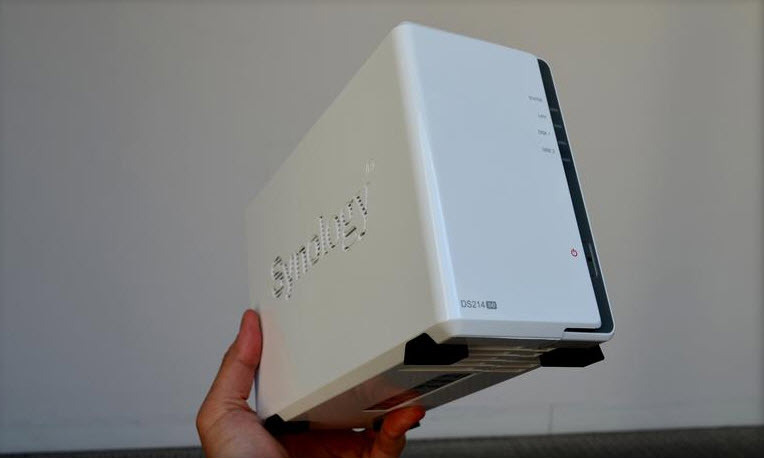 When it comes to NAS server, Synology has been the most well-known vendor. Thanks to the DiskStation Manger (DSM) operating system, Synology NAS servers are easily the best on the market in terms of performance, functionality, and reliability. The DS214se is the latest in this crowd. 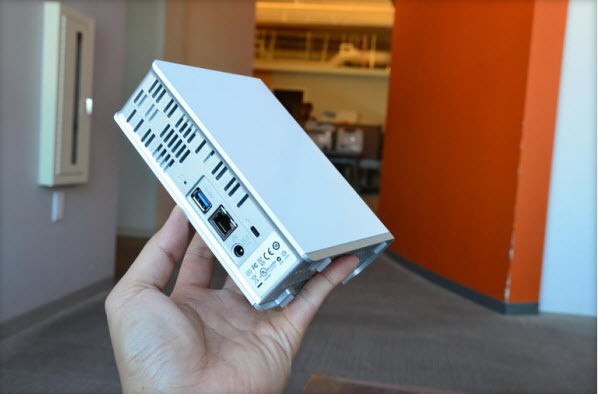 It runs DSM 5.0, and is designed as a budget NAS server for a small home. The server can house two internal hard drives to offer up to 4TB of protected storage space (in RAID 1) and it supports Time Machine natively. It also comes with Data Replicator software for backing up your Windows computer. At the current price of just $160 (diskless) or $340 (4TB included), it’s quite a steal. It’s just as good value in the UK and Australia — it’s available from various resellers with different amounts of storage, but you’ll find it disk-less from around £120 or AU$180. The My Cloud EX2 is a dual-bay NAS server from WD and is one of the most affordable among dual-bay servers on the market costing just $390 (£366, AUS$400) for 4TB (6TB and 8TB servers also exist). While it doesn’t offer as many features as the Synology above, the server is very easy to use and will make a great backup server for both Windows and Macs. It also has a very user-friendly personal cloud features for you to access and share data on the go. The My Cloud is very similar to the My Cloud EX2 above with one exception: it’s a single-bay NAS server. This means it houses only one internal hard drive on the inside and doesn’t have a way to protect data if this drive fails. For this reason, it should only be used as backup drive and not one which holds a single copy of your important data. To make up for this drawback, it’s a very affordable NAS server, currently costing just $150 (£120, AU$220) for 2TB of storage space. Similar to the WD My Cloud above, the Seagate Central is also a single-volume NAS server. The server also supports Time Machine backup natively and comes with backup software for Windows. It’s not as easy to use or as fast as any of the above servers but it’s definitely the most affordable with a current price of just less than $130 (£115, AU$170) for 2TB. Windows users need not apply, but the Time Capsule is a great backup server for Mac users. 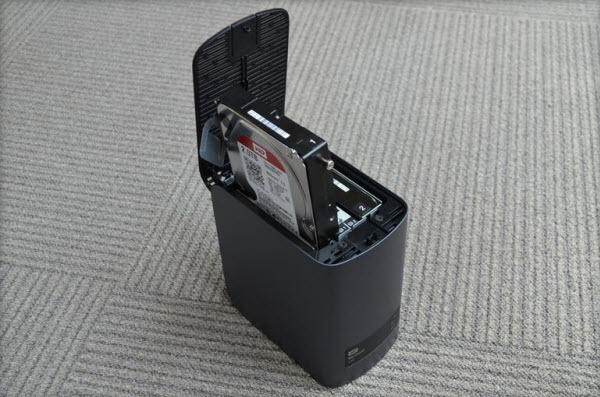 In fact, as a storage device, it can’t do much else other than act as the backup destination for Time Machine and share files between multiple computers. The device is easily the least capable NAS server you can find on the market, but for Time Machine backup on a Mac, it’s about as good as can be, especially considering the fact it’s also a 802.11ac Wi-Fi router. 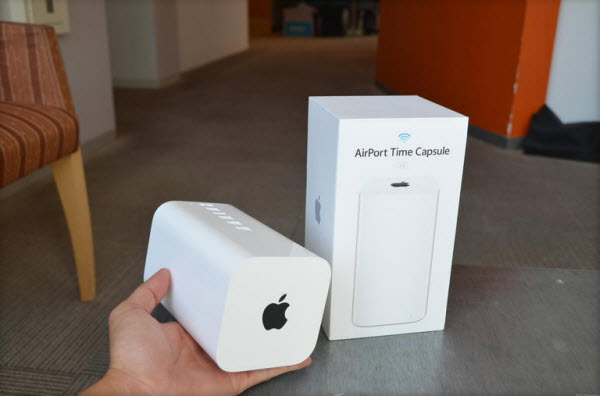 So if you use just Macs at home and are also in need of a new router, at the current price of $280 (£250, AU$350) for 2TB (it’s also available in 3TB) the Time Capsule is totally a decent investment.